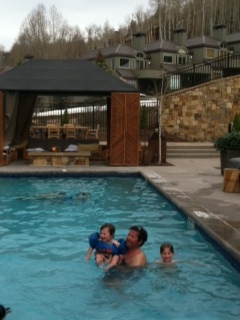 Chic Family Travels returned to the Viceroy Snowmass for the 2nd spring break in a row. We don’t often return to the same hotel so the fact that we wanted to return was in itself a compliment to the Viceroy Snowmass. We had a great year the year before and wanted our friends from Fairhope to join us in the Viceroy experience! We traveled with 5 other families and all the children in tow! It was going to be a wild week and we were prepared. The real question was whether the Viceroy Snowmass was prepared?! All joking aside, we did have high expectations for the Viceroy Snowmass this year because we had talked so highly of the hotel and convinced our friends to spend their spring break there as well. As usual, the Viceroy Valet Service was waiting for us at the airport with a smile. This is a MUCH appreciated free service provided by the Viceroy Snowmass. I wish they extended this with shuttles to Aspen (more on that later). Upon arrival, we were taken to our condo which was just as lovely as the year before. No disappointments here. We booked a one bedroom with a den at the Viceroy Snowmass, which was honestly just as good as a two bedroom if you are just using the second bedroom for kids. It has an additional room that serves as an extra den during the day and a bed at night. This actually gave us more living space than we had in the 2 bedroom. There is also a full second bathroom attached. The only downside to the one bedroom plus a den is that the kitchen does not have an oven. It does have all other kitchen appliances including a full sub-zero refrigerator that is hiding behind the lovely cabinetry shown below. The bedrooms are equally lovely at the Viceroy Snowmass. The housekeeping does an excellent job of cleaning twice daily and we really appreciated the water left bed-side at night as well as the running humidifier. Imagine staying in a condo and having your dishes cleaned daily! The housekeeping even cleaned the baby’s bottles. This made our stay care-free and definitely better than staying in a traditional condo. On a side note, we took a look at the studio suites and have a mixed opinion about these. The bathroom is NOT private at all and while it looks hip, its slightly weird. I would not recommend this type of room accommodation at the Viceroy Snowmass. 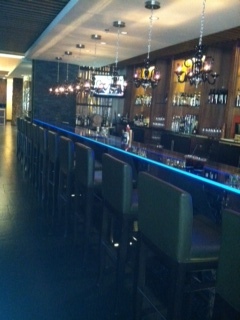 We ate at the 8K restaurant at Viceroy Snowmass and had a pleasant experience. The food was good and the ambience was beautiful. Don’t forget to order the “decorate your own cookie” dessert for your little ones. This is better than expected and a huge hit. The 8K breakfast buffet is pricey but worth it if you are hungry! It was one of the best breakfast buffet’s I have ever had. I give it huge props. If the Viceroy would just add mimosa’s and bloody mary’s to the spread they will win the BEST breakfast buffet in the world award ! I like fresh and healthy food so they really pleased with steel cut oats, homemade salsa, homemade jams, egg white omelets, and fresh fruit. Also, the 8K bar was especially special as it glowed a sparkling bright blue. Our group enjoyed meeting up for cocktails at the bar prior to heading out for dinner. The lobby area is also nicely decorated and makes you feel like you are somewhere special. They leave out hot chocolates, coffee and fresh water flavored with fruit daily. The only negative that I can think of is that they don’t have a traditional crackling fireplace. It is the “Viceroy” so don’t expect a traditional lodge type atmosphere! It would have been nice if they offered smores for the children in the afternoons. There are plenty of outdoor fire pits and many of the luxury ski resorts offer this amenity. Hint Hint Viceroy Snowmass! Another fun activity that our kids enjoyed was sledding down the hill from the Viceroy. You can buy a cheap sled at the local grocery store. Some of the kids swam while some of them sled and they ran back in between the two. Lot’s of Fun! Kids happy…check. Parent’s happy…check. The Viceroy Snowmass is not a huge property, which makes it really easy to navigate. This is one of the positive points of the hotel. The ski rentals and ski valet are conveniently located on the 3rd floor where you walk right out to the slopes and ski down to the lift. The property is ski-in ski out. However, it is not located at the Base where the ski school is located. Thus, if your kids can’t ski to ski school then you will have to take one of the golf carts run by the hotel. The Westin is coming to Viceroy in 2013 and will be much more conveniently located to the base. Watch out Viceroy! The pool is on the same level as the ski valet and very nice. 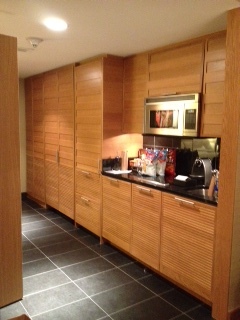 We especially love the VERY warm hot tubs and cabanas complete with firepits. This is a lovely area. Also, the Nest sushi restaurant provides pool service. Very nice! You will feel like a pampered celebrity eating freshly prepared sushi in your cabana by the pool overlooking the slopes. 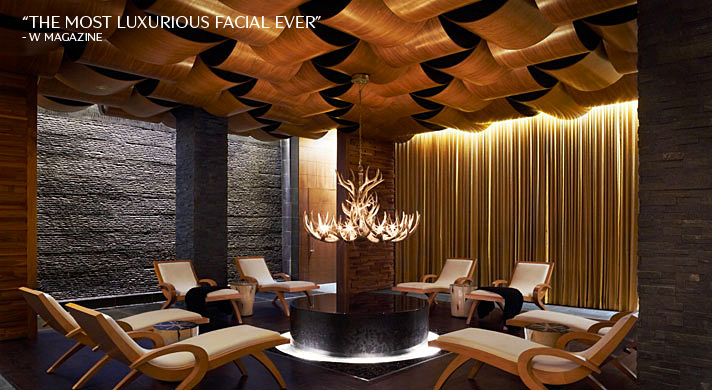 A trip to Viceroy Snowmass would not be complete without visiting the spa. Double thumbs up! The Viceroy Snowmass Spa is awesome. We LOVED the pre and post treatment champagne, relaxation room, personalized massage oil fragrance, and the pre-massage foot rub 🙂 This was one of the best ski resort spa’s that I have visited. I have some personal favorites in Cabo but thats another story and a different country! Overall, we love the Viceroy Snowmass. The only thing that would prevent us from returning would be price. The prices for next year are listed at substantially more than what we paid this year….like double. While we think the resort is fabulous and we love the condo-style accommodations, we don’t think it is worthy of Four Seasons or Montage prices just yet. They will have to up the ante if they want to charge five star prices. We would recommend welcome back notes and/or gifts to returning guests, smore’s for kids, kids activities and/or kids club, ski nannies (something akin to what the Ritz Bachelor Gulch offers), more reasonably priced car service to Aspen, and hot chocolate all day instead of designated hours only. ← Chic Family Travels Staying at the Viceroy in Snowmass for Spring Break! 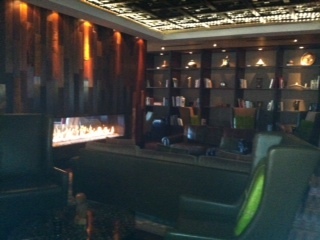 I loved your review of the Viceroy Snowmass, very helpful! 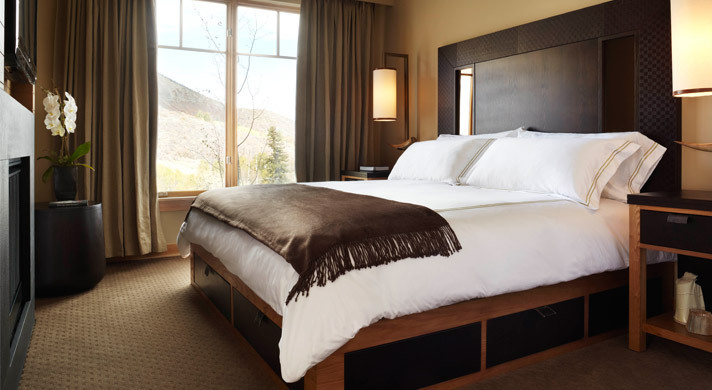 We are thinking about going this July for a summer mountain air experience but we are not sure if staying at the Viceroy Snowmass would be better than just staying in Aspen. We have a baby and first time parents :). What would you recommend? If you were going in the winter with a baby, my response would definitely be Snowmass. The reason is because Aspen does not have a ski school or child care. Snowmass has a great ski school and day school called the Treehouse that takes children as young as 8 weeks. It would be a MUST if you were planning to spend anytime on the slopes without the baby. It depends on what you plan on doing this summer on my recommendation. If you want to enjoy the mountain activities like hiking, biking and so forth then you will still need childcare and would need to stay in Snowmass. The Treehouse is open year around. If you just want to shop and dine out then I would say to just stay in Aspen 🙂 I hope this helps! Super helpful! Thank you! I will let you know what we end up doing ;). I would love to know! Please keep us updated! I was wondering what you decided to do with your Colorado vacation? Did you stay in Snowmass or Aspen?